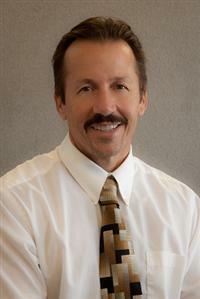 Steve Senden has been a real estate agent in six different offices with over 25 years of experience as a licensed agent and 19 years as a licensed broker. Steve serves all areas from Pleasanton to Modesto to Roseville and all areas in between. He is well versed in the sale of both residential and commercial properties. He is a member of the Central Valley Association of Realtors he and remains very active in the Manteca, Lathrop, Ripon areas. He is also SFR certified. Steve is currently working in the Century 21 M&M and Associates office in Manteca. His past offices include Stone Real Estate, ERA Stone Real Estate, Remax of Manteca, Blue Ribbon Realty (as Owner-Broker), ERA Marlow and Associates (As Broker of Record) , Remax Executive in Livermore, Remax Executive in Manteca, Remax of Manteca. He is currently at Century 21 M&M and Associates in the Manteca Office. Steve Senden was born in Southern California and grew up in Pleasanton, California, where he graduated from Amador High School. He has been married for over 33 years and has two daughters. In his free time, Steve enjoys taking family vacations to mostly tropical destinations. He also enjoys Sea-Dooing, snow skiing, going to concerts, and even working in the yard. Also, some years ago Steve enrolled in Delta College classes, where he took three years of Japanese, where he learned to speak the language. Steve has hundreds of satisfied buyers and sellers who have not only continued to do business with him throughout the years, they’ve also personally recommended their friends to do business with Steve as well. Steve Senden’s honesty and integrity have earned him many faithful clients. He not only seeks to give his clients the best services and deals possible, he also makes himself readily available to his clients any day of the week. Steve’s quality work and integrity make him a valuable asset to anyone looking to buy or sell a home. Steve Senden has received the Quality Service Award in 2015 and the Quality Service Pinnacle Award in 2016.